Displaying your Nautilus award-winning book at a Book Trade Show is a great way to promote your awarded title as well as meet other authors and publishers active in the field. We are excited that you have chosen to display your Book at one of the 2017 Book Trade Shows. Promoting your book at one of the major trade shows is a great step in helping your book gain visibility. Thank you for purchasing your Display-space through Nautilus Book Awards. STEP 1. REGISTER. The registration link is given on the document that you received by email. If you have already registered your book for Display, please proceed to step 2. Combined Book Exhibit, New York. WHY DISPLAY my book at a Trade Show? Glad to hear that you intend to do a Display at BEA or ALA! My hunch is that your book will be noticed by quite a few bookstore owners there. Last spring at BEA-2016 Chicago, I stood for over an hour near the New Titles Showcase, and watched people cluster around the "Nautilus Award Winners" bookshelf, which is 5-tier high. When I introduced myself, and asked where the visitors were from, it was amazing that quite a few persons were from several states distant from Chicago, IL. A couple persons were buyers for County Public Library systems; and an even greater number were Bookstore owners. Many of them were taking smart-phone Photos of the Award Winners' bookcovers that they planned to purchase for their store. It was a sweet moment of recognizing one way that our Award Winners' books connect with the wider world! Does Nautilus have a BOOTH at this year's BEA? With regret, Nautilus will not have a booth at the 2017 BEA in New York. Perhaps that will be possible next year. Oops! I forgot to mention my Nautilus Award on the Display-Registration form. When you register online with Combined Book Exhibit for display at any of the Trade Shows, be sure you fill out the last line of the Reg form, "Awards/Reviews" - and remember to include "Nautilus Silver Award 2016" or "Nautilus Gold Award 2016" on that line! 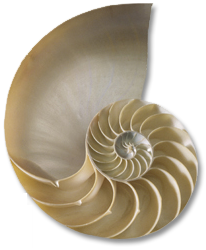 If you have already done the registration, but forgot to mention your Nautilus Award, you can go back online and edit the description - until May 12. For support on this step, you are welcome to call Combined Book Exhibit at 800-462-7687, ext 4 (Becky in accounting). Thanks, Becky, for the help! What is the DUE-DATE for Display-Payment? An important timing note: Any book that has a Display-registration started, but whose Display has not been paid for by 5:00pm (PT) Thurs May 11, will have the registration canceled on Friday May 12. This is necessary because Combined Book Exhibit needs to charge Nautilus for all titles registered (ie, appearing in the catalog), even if an author has not paid for the registration. * The Display-registration can also be done next week, May 15- 19, but that Title will not appear in the Print-catalog distributed at the trade show; the cut-off for the Print-catalog is Friday May 12. If registered and paid-for next week, the Title will still appear in the Online catalog, which will be live on the BEA website for one year, through April 2018. We have noticed that many customers are using the Online catalog for selecting books to purchase in the months after a Trade Show. WHEN do I need to get the display-copies of the book to Buchanan, NY? The mailing of your display-copies of the book to the CBE Office can be next week, between May 15 to 19. This will help those of you who are receiving the Nautilus Seals this week or early next week - so you can affix the Seal to the display-copies of your Award-Winning book. How do I make Payment for the Beijing and Frankfurt trade shows? The PayPal option for display-purchase at these international trade shows will be activated (on this Webpage) within the next few days. These trade shows happen later in 2017, and have a later due-date for registration and payment. You also have the option to send a Check to the Nautilus office, or contact Mary Belknap to arrange payment by credit card. With all best wishes for the future promotion of your books!